Eleftherios Venizelos was a Cretan statesman who fought for independence from the Turks and later for union with Greece. He was prime minister of Greece several times, and one of the most important Greek statesmen, until the monarchists forced his resignation and sent him into exile in France. He died in exile in 1936. 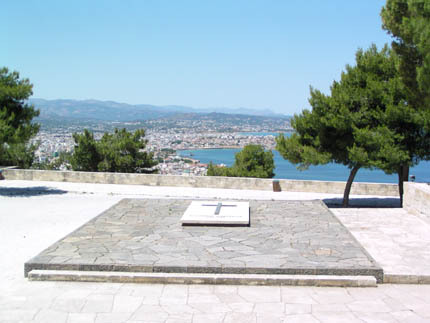 From this site in 1897, Cretan revolutionaries raised the Greek flag to symbolize their demand for union with Greece. A salvo from the European fleet destroyed the flagpole. A Cretan again raised the flag under fire, using his body as the flagpole. From this location, the view of Chania is quite outstanding, especially at sunset. 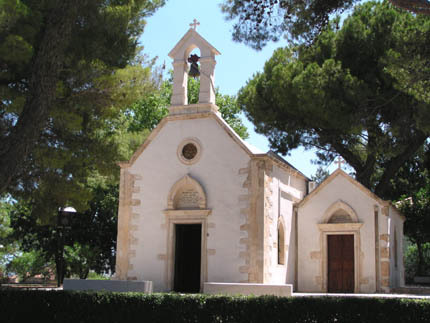 The gardens around the graves and the small church of the Profitis Ilias are a popular site for baptisms and weddings during the summer months. A cafe nearby affords a pleasant vantage point from which to view the city below.